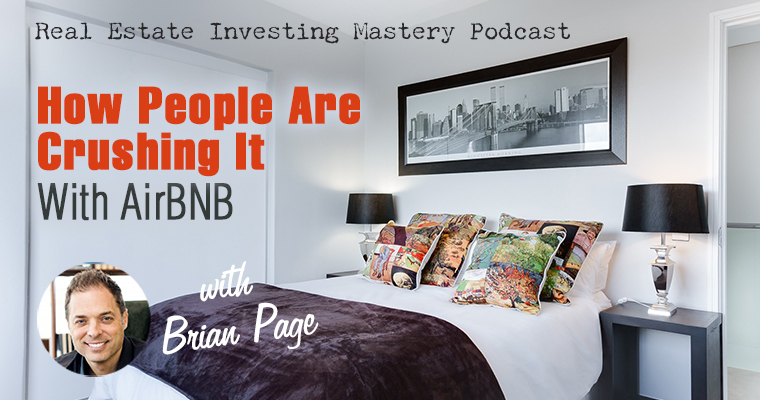 I’m talking about Airbnb hosting with my guest, Brian Page. Brian has a company called bnb Formula. Several of my students have turned lease option deals into Airbnbs. I ran into Brian on a plane recently and we had the entire flight to catch up with each other. We’re going to do a webinar soon about how to use Airbnb with your real estate investments. Brian lives in Charleston, SC. where he’s been in real estate investing for a while. He’s done flips, wholesaling and some construction. As fate would have it, he lost most everything in the 2008 downturn. Brian got the idea for Airbnb while chatting with on guy a plane. He didn’t want to buy property, so the man on the plane recommended renting properties and putting them on Airbnb. His first rental property brought in $1600 net the first month… more than he was making on 4-plexes when he had them. So he began to add rentals as he could. Soon other people heard about it and asked him to teach them. The number of people signing up to use Airbnb for the 1sttime far exceeds the number of hosts and 75% of listings are outside the United States. Successful hosts do not need to be in a tourist-oriented town—Brian has students in all 50 states. Think of how many hotels are along the highway… people obviously need places to stay short-term. Home sharing is hot! People are renting out trailers, houses in the suburbs and in rural areas. The owner you’re renting from has to approve the Airbnb usage. You insure the property, you have it cleaned, etc. Some owners will not let you maintain an Airbnb, but you can find enough that will. There’s no shortage of supply of rentals out there. Brian recommends you get a signed agreement with the owner and teaches a system for managing a number of Airbnb properties. If you put systems to it, you don’t have to spend a lot of time ‘at work’. Any place you can rent to a standard renter, you can rent to a short-term visitor on Airbnb. You don’t have to have guests 30 days a month as long as pricing is right. Guests are considerably easier on a property than tenants. 92% of markets allow short-term rentals. Joe: Hey everybody, welcome. This is the Real Estate Investing Mastery Podcast. Today’s going to be a good episode because we’re going to be talking about one of my favorite subjects with a good friend of mine. We’re going to be talking about AirBNB. Joe: I have to tell you, this is really exciting for me because I’ve been getting, you know, you know what I teach and what I do I do a lot of lease options. I’ve had lately a ton of students coming to me and saying, hey Joe, I’ve been doing AirBNB’s, I’ve been turning these lease option deals into r. Just had a lady recently, like literally three or four days ago, her name is Anna. Send me a message on Facebook. She took her first deal, her first lease option deal, her first AirBNB deal, like her first deal. She got it under a lease option contract with the seller for $1,250 a month. It’s a nice little three bedroom ranch in a good blue collar neighborhood. It’s not in the fancy areas of her town where all of the vacationers go, where the hot AirBNB spots are. This is like in the blue collar, middle class, suburban area, right. Joe: And in the first four days she got the property under contract on the 15th and on the 19th she’d already had about $1,400 in AirBNB commissions or collections or fees, whatever they’re called. She sent me a screenshot within the first four days, you already had like $1,400 bucks in there. And the crazy thing is this, the house was staged, the seller had been trying to sell it, couldn’t sell it, so they were just advertising it for rent or something like that, I don’t know all the details. She contacted the seller and the seller was motivated and said, yeah, I’ll do a lease option on it. She negotiated part of her payment would be to keep the furniture there. So the house, I’m not sure if it was used, if it was staged with a staging company, Brian will be able to answer that question I’m sure. Joe: But like she, negotiated as part of the deal to keep the furniture in the house. She now is using that and the pictures show great. In fact, I think she’s using some of the pictures that the realtor used, which were done by a professional photographer from the MLS listing. She’s using that in her AirBNB listing. Anyway to say she was super excited is an understatement. So fast rewind about three weeks ago, I’m on an airplane flying from somewhere to somewhere. I don’t even remember Brian, I think, wasn’t it from Nashville to Atlanta. Brian: Yeah I think so. Joe: And Brian was like, I’m sitting up in first class and this guy comes walking in, he says, Hey, I’m sit over there, I was, okay, cool. So I get up and then he goes and sits down then I sit down and like, it’s like 30 seconds later I look at him and he looks at me. He’s like, Hey, we’re sitting right next to each other we knew each other it was funny. So I said to Brian, listen, I want to get you on a podcast. We talked for like an hour, an hour and a half about AirBNB and the awesome things that Brian’s got going on in this business. And I said, got to get you on a podcast and I want to do a webinar with you. So he’s graciously, I know he’s a busy guy, he travels a lot. He’s been gracious enough to say, hey, yeah let’s do a podcast and next week we’re actually going to be doing some webinars and I’ll tell you guys more about that, but let me just say this too. Joe: First of all Brian’s got some really cool things to give away. One of them is an audio book of his brand new book and he’s going to be giving that away. And I’m going to give you a link to that. If you’re driving right now and you can’t take notes, you can always get the show notes and the PDF transcriptions of all my podcasts at RealEstateInvestingMastery.com, RealEstateInvestingMastery.com go there, get the show notes, download the PDF and read the transcription a lot of good resources there. Joe: And I also finally want to say before I finally, finally get Brian on, please leave a review on ITunes. If you like this show and you get a lot of value out of it, it’s like my tip jar I appreciate you. Go into ITunes or even going to Stitcher. I think those are the only two places where you can leave reviews, leave a review, let us know what you like about the show, what you don’t like even. Joe: And we’d appreciate that. We really would. All right, so Brian Page from BNB Formula is on the show in the house. Brian, how are you sir? Brian: I’m phenomenal. How you doing Joe? Joe: I’m excited. Good, really good. I am honored to have you here as a guest on the podcast. Brian, you know we’ve got people and listeners, I’m not kidding. We have listeners in over 170 different countries that have listened to this podcast since I started it, eight or nine years ago. It’s crazy, you can go into the stats and see what controls people are listening from and every single episode, there’s at least at 30 different countries where people are listening to this podcast. So there’s people all over the world and everybody listening to this, no matter where they live has heard of AirBNB, right. And if they’re traveling, they’re probably staying in an AirBNB. And I remember Brian when we first talked a few years ago, I was wondering at the time, like man did we miss the AirBNB wave, you know, has the bubble popped is AirBNB done? And I remember thinking that two or three years ago and it is not, it’s stronger than ever and I’m just blown away by the stories I’m getting from students of mine and that are saying, man, I’m turning these into AirBNB’s and working really well. So thanks for being on the show. I’m glad you’re here man. Brian: Well, thank you. I appreciate being here. And that was a good conversation we had on the plane. And I’ve always been a big fan of what you’re doing and hoping that I can inspire some people with what I’m doing on my end. Joe: Yes, I know you can, you already have, I had you on the podcast before, guys, Brian is the go to expert in the entire industry for AirBNB stuff. So we’ve got the expert here on the podcast. Brian, where do you live right now? Brian: I am in beautiful Charleston, South Carolina. Joe: That’s right. That’s right. Okay, cool. And we’ve talked before about your story, but would you mind telling us again what were you doing in your corporate world before you quit your job and how did you get into AirBNB? Brian: Sure, sure. Well, you know, I come from real estate investing background, so I’ve done the flips and the wholesales and multifamily, single family even dabbled in construction for a little while. I did all that through the early two thousands, and, kind of went through that whole bubble collapse that a lot of your listeners probably participate in as well. And basically lost my, my portfolio of properties and kind of had to start over again. Brian: And so for quite a few years I was just looking for a new opportunity. Kept trying different things that didn’t work, did pick up a job just to kind of make ends meet because I had lost most all of my wealth in real estate during that collapsed in 2008. And so I was just looking for the next opportunity. I wanted to get back into real estate, but I wasn’t sure how I didn’t really have the credit anymore or the money to be able to go buy properties and I didn’t know if I really wanted to buy properties again and you know that kind of thing. So I was just looking for an opportunity and I was making a little bit of money with a spare room in my apartment that I rented. Joe: Were you working a full time job? Were you doing this on the side? Brian: I was working about 50 hours a week at a tech company and I was doing marketing for them and then I would just kind of have my little room as my side hustle. Joe: Okay. What do you mean by that side hustle? Brian: A side hustle is kind of a new term that people use to describe anything that they do, you know, to make money on the side. So some people, their side hustle is Uber, you know, in their spare time. Some people do AirBNB, some people you know, do things online. There’s all kinds of different side hustles. So that’s kind of what I was looking for at the time. I didn’t really think beyond that. Joe: Okay. And so you were renting a room out. Did you have an apartment or something? Brian: Yeah, I had a two bedroom apartment. I had a roommate, roommate moved out without much notice. And so I thought, well, you know what, let’s put that thing on AirBNB and see if we can make some money with it. And it did and made money right away. But it wasn’t until I was actually on a plane, believe it or not, another story of being on a plane, I was on a plane, I don’t remember where I was even flying too, but it was a long flight and I was sitting next to this guy that seemed very, very successful at least when, you know, the impression he gave off was he was a very wealthy guy. And we started talking and he asked me a lot of questions about what I was doing with my little room on AirBNB and I had no idea why this guy was asking me so many questions, why he was so interested in what I did. Brian: I was like, you know, it’s not a big deal. And he kept asking these questions and when we were done talking, he said, you know, you’re sitting on a huge opportunity here. I was like, well how, what’s the opportunity? And he said, well, you know, you could get more of these listings and start scaling your business. And I said, well, how would I do that? I don’t really want to go buy properties. I don’t have the ability to buy properties. And he said, no, no, no, you don’t have to buy properties just rent them. If you rent these properties, you could list them and you could start growing your business. And that one idea like transformed everything for me. Joe: Was he an investor himself? Brian: Yeah, he’s actually he invests in companies. He buys and sells companies, you know, all that kind of thing. But had no he had no involvement in AirBNB at all and didn’t know much about it. Joe: Were you flying in first class? Brian: I was, yeah. There’s something happens when you’re in first class, right. Joe: Well that’s, that is cool. And I started flying first class like most of the time about a year or two ago. And it’s, so just number one, it’s super nice and comfortable. And you get off the plane more relaxed, more energized and not totally completely drained where the life gets sucked out of you sitting in the middle row of something in the back, but you also meet some fantastic people and you get a lot of work done. Brian: I was going to say, that’s a pivotal moment for me right there. and it’s not a groundbreaking idea, but it’s an idea that I certainly didn’t have. And so I just I did that. I went out and found a rental around the corner and knocked on the door for rent sign on the front yard and talked to the lady and said, I have this harebrained idea, will you let me rent your property and put it on AirBNB? And she said yes. And so I did that. And I think I made it right around $1,600 my first 30 days. Would that property that’s after expenses were paid. Joe: After expenses $1,600 bucks nice. Brian: $1,600 bucks on a one bedroom. So, you know, coming from a real estate investing background, I’d never even heard of that kind of cash flow that was insane because I wasn’t making $1,600 net on my triplex or fourplex at the time. So that kind of cashflow from a small little unit, I thought, man, I’m really on to something here. And I just, at that point I just went out and got as many rentals as I could. I kept adding one rental after another and it built into a really big income. Brian: And then from there people started reaching out to me and asking me to kind of help them and teach them. And because there’s really nobody teaching it at the time, online or anywhere. And so I taught them what I knew about scaling and automating and how to do this very part time, even when you have a bunch of listings. And so that, that kind of led into me becoming a teacher and then suddenly people all over the world kind of like you said, I don’t have 190 whatever countries. I think we’ve got like 40 countries so far the people are doing this in, but AirBNB is in every country, almost virtually every country on earth. So it’s a global opportunity. Joe: You know, I tell a funny story sometimes. I was in Munich with my family, I have a wife, four kids, and we were on a bike tour, biking around Munich, Germany. And I had a reservation on, I think it was HomeAway, one of the properties. And the lady never responded to me or the guy who, I don’t know, they never responded to me to confirm that I had this property reserved. And it’s hard enough to find a place that takes six people and we don’t like renting rooms we like to get the whole house, whatever, right. So I’m kind of freaking out, you know, and, and it’s about three o’clock in the afternoon and we don’t have a place to stay. We have a rental car. And I didn’t want to stay in a hotel either. I know we could’ve got one, but, so while I’m on my bike, I open up the AirBNB app and whenever I go into a new country, I just get a signup for a prepaid data plan with whatever mobile provider that is there, right. Joe: So while I’m riding my bike and I’m in the back of, my wife’s in the front, kids are in the middle. I’m on the AirBNB app and I’m looking for a property to stay in that night. And my wife doesn’t even know yet. I’m just thinking, I’m going to try to get this resolved and fixed before she even knows about it because I, you know, I don’t want her to stressed out about it. I find a place that can take six. It’s its own house, you know, I’m reserve it and pay for it and all of that right there on my phone. She actually confirms, replies back, confirms it and it’s done. I’m on my phone riding on a bike on a bike in the middle of nowhere in Munich, Germany and I reserved this place. The lady was super cool, you know, like we go to a church here in Saint Louis and church is important to us. Joe: And so come to find out, she goes to this church and she goes to a really cool church in Munich that has, that similar to the style of our church here in St Louis. But then they also have, it’s in German, but you can listen in English. So there’s a translator you can put on the headphones. So such a cool story and I’ve always loved the simplicity of AirBNB because you can reserve these things so fast in any country. We’ve stayed in AirBNB’s, in Croatia, in Turkey, in the Czech Republic and six different countries there, Spain and England. So it’s truly amazing. But I think Brian May be some people that are wondering like, man, isn’t it too competitive now? Like there are so many, AirBNB’s, is it too late for me to get involved in and do the game myself? Brian: That’s a question I get a lot. What’s happening right now with AirBNB is that the growth rate of the number of people that are signing up to use AirBNB for the very first time is just far exceeding the number of hosts that are available. And you can see this across the board, not just in the US but I’ll overseas. In fact 75% of the listings are not even in the US right now. So it’s just, most people think it’s a only a US company, but it’s all over the world. And what’s happening is that although a lot of people have heard of AirBNB, if you ask say 10 of your friends, how many of you have used AirBNB to stay in a place? Usually that number is generally very low, the number of people who have actually used it. So awareness of AirBNB in the use of AirBNB are two totally different things. Brian: And so we’re still very early in the growth phase of home sharing in general. There’s other platforms besides AirBNB. I like AirBNB it’s what I’ve used and it’s the only thing I use. But so we’re seeing that and there’s a book came out that came out recently called The AirBNB Story and in that book they said that the, the, um, the number of new users signing up every week get this, it’s not a misprint is over a million people a week that are signing up to use AirBNB for the very first time. Joe: Now that’s not to list AirBNB’s, that’s to like stay here. Brian: To use it. Yeah to book a place on AirBNB. Yes. People that are saying, you know what, I don’t need to stay in a hotel. I’m going to stay in an AirBNB. And I can tell you the number of hosts is a minuscule amount compared to that million. I mean, it’s, yeah, it’s like there’s one host for every 20 listings that are coming online. So it’s definitely, we’re still well into the growth phase. And it’s been proven by, you know, I’ve got students in every, every state around the country, every size city, small town, whatever. And they’re just, the opportunity is everywhere. It’s not in one particular place, like in Charleston, because it’s a tourist city. In fact, I’d say the vast majority of my students are not in tourist towns at all. Brian: So I was just down in Dallas, Texas last week, actually meeting up with a couple of students and they’re in Dallas, Fort Worth area and one of them has been a student for nine months and he just cracked up $100,000 in bookings on AirBNB. So in nine months after working with me on my training and I’ve got lots of students that have cracked $100,000 or multiple, hundreds of thousands and so it’s the potential is there to scale it to really any size that you like. Joe: Now a question that I have is like, you know, I’m in Saint Louis and there’s certain pockets of Saint Louis where, you know, all the cool people, not the people with kids, you know, who are suburbanites like me, but where the cool young people live and you know, you can find a lot of AirBNBs down there. Because when somebody wants to come to stay in Saint Louis and they want to see the arch and the brewery and go see a Cardinals game or whatever, they stay down there. But can you do AirBNB’s? Is there still a demand for AirBNB’s in the suburbs or in even in like, you know, let’s say in Saint Louis and median home price is like $150,000, okay. Can you do AirBNB’s in like the hundred to $150,000 range? Kind of like those, they’re not low end areas, but they’re like middle of the road areas. Make sense? Brian: Yup. The best way I could answer that is, anywhere that you could rent to a normal tenant, you could do AirBNB. In fact, the property that I just went to in Dallas where this gentleman Ken has his listings. Actually he’s got his listing spread all over Dallas and Fort Worth. It was a nondescript house in a nondescript neighborhood in the middle of nowhere suburbs and he’s doing about 300% over his costs. In other words, 300% more income than what it costs him to rent the place. And he’s got listings kind of spread out. So there is no rhyme or reason. It’s really, if there’s a hotel anywhere near or in the town that you were considering, then that means people are paying money to stay short term. And where are there hotels? There’s hotels everywhere. Brian: I mean, you can be on the highway in the middle of nowhere and there’s going to be a hotel at every exit. Joe: That’s a good point. Brian: Because somebody needs to stay somewhere right by the night. And hotels don’t just build multi-million dollar properties without doing research they put them in locations where people want to stay. So the short answer to it is it can work anywhere it really can. And now the difference in what you make is going to be wildly different. So if you’re in a center of a city that’s very, very hot, you then you might be able to command $300, $400 $500 a night or more. If you’re in a luxury property, you’re going to command a lot of money. Now if you’re in a suburb, kind of nothing special, maybe you’ll get less per night. But then again, the rents are also a lot cheaper there. Brian: So the amount that you make is totally proportionate to what the actual costs to rent the property are. So yeah, you can make more in nicer, more in demand areas or higher end areas. But you can certainly also make money in just plain Jane areas. So yeah, you can do this everywhere. And I’ve seen students, even in rural areas that are doing quite well. We’ve got one student in rural Maryland, he’s like an hour and a half outside of DC. I mean that’s the only way to describe it, it’s truly in the middle of nowhere. It’s about 6,000 people in his whole town. And he has five listings, five AirBNB listings all booked out. And I was like, how in the world are you doing that in the middle of like a small town of 6,000 and he said, Brian, there’s actually zero hotels where I live. Brian: So the only place people can stay is in a home sharing situation. Joe: So you know who stays in those homes in the suburban areas or in the small towns? Brian: Good question. Well anybody who needs to go there. So somebody that’s visiting family, somebody that’s considering moving to that area and needs a place to stay for a few days or a week while they look to move. There could be people that are there for a job, you know, they’re coming in temporarily for a job. I mean who knows, there’s all kinds of reasons, all kinds of reasons that people travel. They don’t just travel for business, they don’t just travel for tourism. They travel for any reason that somebody would stay in a hotel is the same reason somebody would stay in an AirBNB except the difference is why would you pay x number of dollars per night to stay in a single room in a hotel versus a whole place with two bedrooms or three bedrooms or yard or pool or you know, a driveway and a garage and you know, all the things that you have with a unit, with an actual, you know, residential unit. Joe: Yes. We know it’s crazy because I was just in Georgetown, Texas about, which is an area north of Austin probably I don’t remember even a month ago. And looking for, we were either going to stay in a hotel or a stay in a house. I wanted to stay in a house. And I had a hard time finding a home that would accommodate us. We did eventually stay in a hotel for a long reason, but that was what a lot of people are doing. And you know, in about a month, I’m going up to Ankeny, Iowa. Have you ever heard of Ankeny, Iowa? Joe: It’s a little small town north of Des Moines, Iowa, right in the center of Iowa for a little, a family reunion, birthday party thing. And yeah, we’re, we’re still trying to find a place to go, but if I found a good AirBNB, they’re probably going to do it, right. So that’s good. Brian: That’s the thing. I mean, the idea is as old as time itself, the idea that in fact, I mean, you look at the biblical times, right? People were staying in inns, right. So, I mean, it’s a very old concept. The only difference is now with technology, anything can become an inn or hotel. I mean, even, even yachts, people are cleaning up, taking yachts and putting them on AirBNB because you’re allowed to do that. I’m assuming you have permission from the Marina you can make a ton of money with a yacht. You can take a trailer. I’ve got one student that took an airstream trailer. He didn’t even own the trailer he just approached the guy, had it, had it parked in his driveway, and he said, can I rent your airstream? And the guy thought that was kind of odd. He said, I’ll rent it for $200 a month. Brian: The guy’s like, sure. He rented it for $200 a month, turned around and put it on AirBNB and he makes like $1,500 a month on the trailer. It’s not even his. So really anything can be monetized now to have to give people a place to stay on a nightly basis. So it allows you to essentially become like an hotelier, except you don’t have to own the hotel and you don’t have to come up with all the money to buy a hotel. And, and that’s the cool opportunity there. It’s not just limited to townhouses or condos or single family homes. Joe: Wow. I’m looking here and Ankeny, Iowa right now, and some of these homes are $200 bucks a night, $300 bucks a night in Ankeny, Iowa come on. Brian: It just shows you, you don’t have to book the calendar up fully. Some people are like, well, who in the, how in the world am I going to get people 30 days a month to stay in my place? And it’s not like that. I mean, you can be profitable 15 days a month if you have the right cost structure or the right price that you’re charging. So what I teach people to do is to figure out how to make money even without having their calendar filled. Joe: So like that house in particular, let’s say it’s only rented $200 a night. It’s only rented half of the month. That’s $3,000 a month. Brian: Yeah. So let’s do the math. How much would that mortgage on a house like that costs? Probably less than half that. Brian: At least, maybe even less than that. And so you throw in a couple of hundred dollars for utilities, $200 or $300 for utilities. So yeah, you know, what I’m seeing is people are walking away with at least a $1,000 dollars a month net most of the time if they’re doing it correctly, but that can go much, much higher, $2,000 thousand $3,000 thousand per unit. So you’re talking about a business that you could start today and within the next 30 days be generating $1,000 in cashflow roughly per unit immediately without having to put it down, paint it down without having to buy anything, without having to go into debt without having to any of that stuff. Now if you own property, great, I have nothing against owning property. If you own property, you can do this as well. But you know, the ROI on putting down a down payment and a first month’s deposit, first month’s rent and deposit and say a furnished property, because I like to focus on first properties. I mean, it’s, it’s, it’s through the roof. I mean, the ROI is unbelievably, it’s better than any other opportunity in real estate that I know of. Joe: So somebody’s thinking here, why would I want to, well, why would an owner of a house, maybe even a furnished house. Why would they want, why would they let me do an AirBNB? Why don’t they just do it themselves? Brian: That is the question that stops most people from even attempting this. And it stopped me in the early days because I thought, well, this isn’t going to work if I go talk to owners. But here’s what I found about owners. Anybody who has a property for rent, that’s the only people that I talked to. His people that already have a property for rent, they’re looking for a tenant, okay. I’m not kind of try to convince somebody that doesn’t have a property on the market. So I’m looking for landlords, they have property on the market, they’re looking for a tenant. And I found that they only want two things generally, and I know this because I was a landlord and had lots of rentals, is I’m looking for somebody that’s going to pay the rent on time without any hassle, pay the rent on time, and number two take care of the property and not cause any damages or any kind of risk to me, those are the two things I’m looking for. Brian: So if you can convince somebody that you’re going to pay the rent on time and that you’re going to take care of their property, they will consider it. Now, I’m not saying all owners will do it, but I don’t even care if, I don’t know if eight out of 10 owners say no because I can go look at 10 rentals in a weekend or over the course of a week, it’s not hard to go look at 10 places that are for rent and just talk to the owners. And two of them, it might say yes or one in five might say yes. And so that’s what I do. And what I tell them is I say, look, I’m going to take better care of your property than any tenant would because at your property is going to be professionally cleaned two or three times a week by my cleaning company because I have to, you know, make sure it’s in impeccable shape for the next guest. Brian: And generally what I do is I take care of the minor maintenance. So anything under $100, I cover that for the owner. So I tell the owner, when was the last time a tenant fixed something and you didn’t have to pay for it? That never happens, right. So I take care of that kind of stuff and I tell them that’s another benefit. I give them my references of people that I’ve rented from in the past or any references that I have. And, and I basically put it all together and I say, look, this is going to be a benefit to you because I’ll be the best tenant you’ve ever had. I’m going to take incredible care of your property. And then there’s also other things you can do like insure the property. It’s very inexpensive to get insurance nowadays for this kind of business. Brian: So you can cover them for liability, you can cover them for damages if anything happens. All those things I’ve thought of because I’ve met face to face with hundreds of people kind of pitching them on this idea. And there’s not that many objections that people have. And if you can ever overcome those objections and sometimes you even have to overcome any objections, people just say, sure I’ll do that. If you, if you’re ready to rent it right now, let’s do this. And so that’s what it is. You just work with owners and you give them the rent that they’re looking for. You can also kind of sweeten the pot a little bit. So one of the things I like to do is somebody says, Hey, I don’t know if I want to do that. And they’re asking say $1,500 a month. Then I’ll say, well what if I were to pay you $1,600 or $1,700 month? Brian: Because it doesn’t matter to me. An extra hundred bucks a month doesn’t matter. Because I know that property could bring in three or four k a month. So I’ll say that to an owner and then suddenly they’ll change their story really quickly and be like, okay, well if you’re going to pay more, let’s sign the lease. So that’s kind of how I do it. Joe: Some people think this is crazy. I’m giving you these softball questions, Brian, I hope you appreciate that. Brian: Give me some hardball ones. Joe: This is a good one though. The people think, well you know all of these people in and out of the house, that’s going to cause a lot of maintenance problems and hassles. Explain why that’s not true, it’s the exact opposite. Brian: Okay, that’s a great question. That is something I’ve gotten from owners is like, well I wouldn’t do this because you’re going to have people pulling their luggage and now the property coming and going all times of the night. I won’t know who’s in there, who’s going to be in my property, all those kinds of things. So this is what I would say to an owner like that. I would say, well, first of all, I want you to know that every person that’s going to come into your property, I know exactly who they are. I have their identification I have their credit card because the credit card is already on file with AirBNB. I they’ve already been vetted by me. I know that they’d have reviews. I know something about these people right now who they are, and secondly you think it might be more wear and tear, but let me explain to you why it’s less wear and tear to have short term guests in the property versus tenants. And I play this little game with the owners. I say, okay, I want, I want to say something and you tell me whether it sounds like a tenant or sounds like a guest. Brian: And I say, okay, somebody puts a satellite dish on the roof without permission. Is that going to happen with a guest that’s staying for two nights or a tenant, right? The answer is a tenant. Who’s going to leave a car on blocks in the driveway or oil in the driveway when they work on their car. It’s not going to be a guest. Who’s going to have a dog in the backyard destroying the backyard over the course of a year digging holes or who’s going to paint the third bedroom pink without permission or who’s going to have their ex boyfriend show up at three in the morning, kicked the front door? And you know, that stuff has happened to me. It’s happened to a lot of landlords. It doesn’t happen with guests. And guests don’t look at the property as if it’s their own. Brian: They don’t say, this is my property and I can do what I want in it. Because they don’t take ownership in it. It’s not, they’re just staying there for a night or two. And so, you know, there’s a complete difference between guests and tenants and tenants in my mind can be headaches guests generally are not. And so I explained that to owners and they’re like, ah, I see I get it, I get it, I get it. And then explain it to them. And then also they have access to their property. It’s like, hey Mr. owner, you can go in your property anytime you like between guests. You can walk right in and check it out while our cleaners are making your property, you know, 100% spot free, you know, clean ready for the next guest. And so when you explain it to somebody, you’re like, there’s actually less wear and tear, there’s less chance of damage, there’s so many benefits with going with guests over tenants. Joe: Well you also, you know, you’re not running the washer and dryer everyday. Brian: They’re very rarely yeah. Or not using the dishwasher, if you’re in a place where people are going to go eat out a lot, I find that generally they, guests use less water, they use less utilities than a tenant would, and it’s just, I mean, there’s just a totally different thing. Joe: You also have the cleaning company that comes in every time and they will be able to spot water leaks or you know, you’ll be able to get things you’re getting the property inspected every couple three days. Brian: Yeah. And I have my cleaning crew that will take care of the minor things. So like if the toilet’s clogged, the owners not getting a call. And so I tell the owner that, I’m like, look, I’m not going to be the kind of person that’s bugging you every, every week, every month for some piddly little thing. I’m going to take care of it because I know my guests are checking in in three hours, so I’m going to take care of those things. Any minor things, any major things you can cover. And I don’t care if I’ve got to pay for those things once in a while because I’m making so much money on the listing. And so the owners are just amazed. They’re like, I can’t believe like you fixed my dishwasher. I’m like, yeah, it was a $50 thing and we got it fixed. They’re just amazed that I would do those kinds of things and they’re like, you’re the best time I’ve ever had. Brian: And so that, that opens a lot of doors, right? So a lot of owners own more than one unit. So I’ve had many owners that say you’ve done such an amazing job with this unit and kept it in the kind of condition that I’ve never seen before. I’m going to give you more of my units when they become vacant. And I’ve never had an owner say to me, you know, Brian that’s the most amazing idea. I’m going to take it off the market right now and put it on AirBNB. I’ve never had somebody say that. And even if they did say that, I’d say, good, good luck. Go ahead do it. Because I don’t care, there’s millions and millions of properties for rent all the time coming on the market. There’s no lack of supply of rentals. Joe: I’m looking right now at a property in a suburban area where I used to live. It’s a three bedroom, two bath, 1,400 square foot ranch in a nice suburban, beautiful green grass area. And they’re asking $1,600 a month in rent. So for this neighborhood that’s pretty good. That’s right about average market rents. And it looks like there’s furniture in the pictures. Brian: Oh my gosh. Sounds like a slam dunk. Joe: Yes, okay. So how would you, and there’s a phone number here. Um, it looks like it’s, it’s David who is a, with a company. So I don’t know if it’s a property management company or leasing company. What would you do with this ad here? Brian: Well we’re going to go into that in depth in the training. Like how do you actually get ahold of the owner, how do you find them? My general rule is you want to talk to owners and not the third party. You don’t want to talk to property managers or realtor because you’re just going to get the run around. You really want to talk directly to the owner. And I talk about in the training, how to get to the owner and get in front of them and then exactly what to say when you get in front of them. But yeah, I mean the general rule of thumb is anywhere from 200% to 400%. So if you’re looking at a $1,600 rental, that thing could bring in anywhere from $3,000 on up in actual bookings. Joe: So you do double. So say that again. How do you figure that number out? Brian: 200% to 400% generally of the rent. So let’s take a round number. Let’s say a $1,000 dollar rental. A $1,000 rental will make somewhere between $2000 and $4,000 on AirBNB depending on what area you live in. So some people were like, well, what if it doesn’t make $4,000? And I’m like, does it, does it matter as long as you’re making, you’re making incredible cashflow either way. You could walk away with, you know, let’s say utilities are $200. So let’s say it’s $1,000 unit utilities are $200 because of the small little studio, then you’re talking $1,200. So if you brought in $2,000, you’re going to pocket $800. If you bring in $3,000 you’re going to pocket $1,800 and then it could go up from there depending on what kind of area you live in. So that’s kind of a good rule of thumb. Brian: So same thing if you’re looking at a luxury property, I just secured a $1.2 million property in Scottsdale, Arizona luxury property. And uh, the rent on that is almost $7,000 a month but we’re projecting it’s going to bring in over $20,000 a month. So, you know, you go to higher end, I don’t recommend starting high, higher end, but you can do luxury properties as well and the rule still applies. Joe: Do you like college towns? Brian: I love college towns. Yeah. I have several students in college towns that are killing it because college towns always have a transient population that’s coming and going. Professors coming in out of town, family’s coming to visit their kids in college or college kids looking at the college. Yeah, it college towns are amazing. Joe: You know, let’s say a property is a, there’s a property manager that you’ve got to talk to. You can still like lease the property from the property manager and the property manager can stay in place, right? But you just got to talk to the owner to get the owner to say, yeah, I’m okay with you turning it into an AirBNB. Is that right? Brian: Yes. Now there are people out there that will sneak around and do this without permission I don’t teach to do that. I say you want to get it in writing from the owner. So as long as you have it in writing from the owner that they’re allowing you to do it, then you’re good to go. And that, so I, you can certainly do that, going through a management company, but my experience really need to get in front of the owner, the decision maker because the property management company’s not going to go to bat for you or explain it correctly, you really want to get front of the owner. Brian: But yeah, so and then and then you know, you don’t have to worry about subleasing clauses and all that crap that’s in the lease because you can just modify the lease or do what I do, I actually give people my lease and they can just take it to the owner and have the owner sign it or you use an addendum, something very simple that attaches to the lease and it just says, you know, basically in layman’s terms it says, Brian’s not going to live in the property. He’s going to have guests stay in the property and the owner is aware of that and is okay with that. Brian: And then beyond that, Joe, we’re even doing month to month agreements now, which is great for people that don’t want to commit themselves, they’re like, Brian, what if I sign a year lease and this doesn’t work? And I’m like, well why not do month to month? And people are like, well owners would never go for that. And I’m like, well you don’t know until you pitch them and if you pitch them the idea, you can always offer them a little bit more money, get them in on the game a little bit. So you say, look, I’m going to take your property, you’re asking $1,000 rent. I think it’s going to bring in but more like $2,000 what if I gave you 20% of the profits? Brian: Or what if I cut you in on some of the profits on what I’m going to do, it’s no extra work for you. And the only thing I ask is we do a month to month agreement with like a 60 day notice to quit. So that way you have 60 days on the calendar that you can book out, you know, you don’t want to quit overnight if you have guests. And so then there’s no commitment. There’s no risk really. I mean it’s almost like zero risk. You could test out their property and if it works you keep renting from them, if it doesn’t work, no big deal. So there’s all kinds of ways to do it. There’s so many creative ways to do it. Joe: I’m looking here in one of the college towns in Missouri and there’s 353 three plus bedroom homes for rent. And actually if I just sit, like single family homes, there’s 224 and that’s. Do you think Brian, if somebody tried to mark it to 224 rentals, they would find one of them that would do an AirBNB? Brian: My worst student that I’ve ever heard from, I think looked at like 15 maybe 17 to get one yes. I mean it’s not that hard. I mean, you don’t even have to do that many. If you do what I teach, you can go out on a weekend, look at a bunch of rentals and you’ll get one person, they’ll say, yeah, I’ll do it. And it’s not like you’re even really pitching anybody. You’re just saying, hey look, this is what I do if it works for you, let me sign a lease right now. If it doesn’t work for you, no big deal. And then you just leave it in their court and sometimes they get back to you a week or two or six months later. They’ve had a horrible experience with a tenant in there. Like, okay, Brian, I’m ready to do this. Joe: Nice I love it. Hey guys, I’ve got more questions for Brian, but I want to invite you all first. Next week as we’re recording this as you’re listening to it. Well it will be coming up soon. I’m doing a live webinar with Brian and I’m going to give you a link here to go get some more to get on there. And if you go to this link, you can get a free audio book version of his new book that’s coming out. And if you go to REIMPodcast.com/Brian. REIM for Real Estate Investing Mastery Podcast.com/Brian and register for the webinar. He’s going to be diving into a lot more detail and teaching this kind of step by step stuff that we’re going to be, that we’re talking about. REIMPodcast.com/Brian. Okay, cool. Brian, can I ask you a few more questions? Joe: Let’s talk about furniture. What do you do with a staging the house and you have to go buy a ton of furniture? What are the options? Brian: I try to focus on furnished properties. If you know how to search properly, you can find them out there depending on what area you live in. Some have some towns and cities have a lot of furnished rentals and some have fewer. But really when you’re talking about furnished properties sometimes their rents are a little bit higher. But I don’t mind that because it’s so much easier to get those things listed. So I love furnished properties and I would say about half the time you can find a furnished property, the other half of the time you’ll have to furnish it yourself. And I actually teach people how to do that very, very inexpensively. Brian: What I do is I don’t put anything new in the unit except for, of course, the mattresses and the sheets and towels, you know, I don’t want to be gross, but, but furniture, I would, there’s no reason I’d ever buy like brand new table or brand new couch, that kind of stuff. You can get those stuff for next to nothing on Facebook Marketplace and those kinds of sites. And I teach people how to do it on the cheap and get the place furnished really, really quickly. And then what you do is you get that money back in your pocket. Brian: So if you’re getting a $1,000, I’m just going to use it another round number, I’ll say it’s $1,000. So if your using $1,000 for deposit, $1,000 dollars for rent. And so you’re putting down $2,000k to get into the unit, you’re going to look at putting another $2,000, maybe $3,000 k into the furnishings. And it could be done cheaper than that. But that’s just say that’s plenty. And what you’ll do is in the first month or two, you’ll get that money back in your pocket from the cashflow on the unit. And then after that it’s gravy, everything after that. Brian: So that’s the idea is yes, you would have to have some investment in it, but compared to, you know, doing most other types of real estate deals, the amount is very, very minimal. And then of course somebody wants to bootstrap and somebody says, well, what if I’m dead broke, I have nothing? But then I would say, you should start with a room, list a room in your place or list a room in someone else’s place and list it on AirBNB and do some kind of profit share with them and make some money that way to save up for your first listing and that’s if you have $0 dollars. And now some people, some of my students, what they’re doing is they’re doing the agency model where they don’t even do a lease at all, they just approach owners and say, let me list your place on AirBNB and we’ll do a revenue share on whatever we bring in and just sign here. Brian: And there’s no lease there’s no agreement of any kind. It’s just like, it’s like you’re offering a service to the owner. And so there’s zero risk, zero startup costs because you’re only going to deal with the furnished properties if you do the agency model. So there’s, there’s ways to do it that way. I talked to a girl, her name is Tia and she’s in Washington state and she’s got like nine listings just killing it. And she’s getting money on the front end from owners. She tells them if it’s not furnished, you know, she tells him, she says, I will furnish it for you if you pay for the furnishings and my fee is $5,000. People are paying it. So she gets to go shopping for people, furnish their unit, gets $5,000 in her pocket and then gets to make money on AirBNB with a property she doesn’t own. So she’s really milking it. People are glad to do that because their property is sitting vacant and not making any money with it. Joe: Can you lease furniture or is that cost prohibitive? Brian: You can. I have never attempted it. I’m not really familiar with how to lease furniture, but I’m sure you could. But you know, the way I teach, it’s so cheap to get furniture nowadays. There’s so many apps that you can get on your phone where you can make stupidly low offers on stuff without actually having to talk to a human being. You know, like Facebook Marketplace or whatever. Somebody’s got their couch on there for $300 bucks and you say, I’ll give you a $100 and people say, sure, come get it. So you know, looking for nice quality used stuff that doesn’t look used that’s what I go for. People are always like, wow your place always looked so nice. And I’m like, yeah, it’s all cheap used furniture. So that’s it. Joe: Who do you use to manage your properties? Brian: Well, there’s a couple of different ways we’re going to go into that in depth in the training. But yeah, basically what I want people to do is outsource 95% of the day to day. So there’s different ways to do that. There are services online that can do this. You can hire a virtual assistant as many different ways, but the idea is that you could have 10 listings all generating cashflow for you and still only work three or four hours a week to manage them. Brian: And most people don’t know how to do that, which is why most people on AirBNB, the vast majority of people on AirBNB only have one or two listings. And in fact, it’s like 99% of people that use the site as hosts only have one or two listings. So my students are in the top 1%, I’m in the top 1%. I teach people how to get there. And that’s all about building systems and automating. Joe: So it’s not that hard. Brian: No, it’s not that hard. I mean, there’s nothing super complicated about the business, but you do need to know how to structure it that way. Otherwise you’re going to create another job for yourself. And people don’t want to, you know, you don’t want to get into it to create a job. You want to have a source of cash flow in your life that doesn’t require a lot of time. That’s why you do this. Joe: Can you talk about legal issues? A lot of big cities are cracking down, are clamping down or putting restrictions might be a better word on AirBNB’s. What do you, what do you see in the horizon and how do people work with that? Brian: Sure, okay. So AirBNB is a massive disruptor by disrupter, I mean that it’s changing the entire landscape, not just for real estate, but for the hospitality industry. And when a disruption comes in, just like Amazon is disrupting Wal-Mart and other brick and mortars, you know, people, company’s fight back and the same thing happened with Uber. You know, I used to be when you went to Vegas, you couldn’t get an Uber because Vegas, all the taxi companies were so powerful there that they wouldn’t allow Uber, but you can’t stop a great idea. And that’s exactly what happened with Uber. They won and now they’re there and Uber’s become a global thing and the same thing’s true of AirBNB. It’s one of those things it’s disrupting industries. And the hotel industry really is threatened because it’s a new model, right? Brian: It’s a totally different way to travel. And so in cities where, where hotels are powerful, let’s name some cities like San Francisco, New York, some of the larger cities, they are fighting tooth and nail. And some of these cities are what are called red zone. Their cities, I don’t really recommend necessarily doing AirBNB in, but I have students in those areas that are doing well. And you might be wondering how is that possible? Well, the way that they do it is they simply go around the red zones. So if you’re in, Say New York, for example, New York proper, it’s very difficult to do AirBNB’s in Manhattan, but there’s nothing wrong with going across the river to New Jersey and doing listings there. And I have students that are doing listings in New Jersey and doing quite well. So it’s just going to where the opportunity is. It’s the same way, if you’re a real estate investor, you’re not going to go into a residential neighborhood and open a hair salon and it’s just not zoned correctly. Brian: So the same thing here with AirBNB, you got to go where the opportunity is. So like the guy Cam that I met with down in Dallas, Texas, I said, how far do you drive to get to your listing? He said, 45 minutes. I said, wow, that’s quite a drive. He said, no, I never come here like my cleaning crew comes here, but I don’t come here very often at all. So he went to where the opportunity is and got a listing there and that’s what I tell people to do. So does it work everywhere? No, it doesn’t work everywhere. But 92% of towns and cities in the US do allow short term rentals. So 8% don’t. 92% do and I just teach you to go to that 92%. Joe: Well the, I was talking to one student about this and she, her city does have restrictions, but she said it’s not a big deal. I just went and I filed a permit application and they approved me. So she found out in her city what the requirements were just went and met them. And every time she gets a new property, she has to go refile for a new application. It’s not a big deal she said. Brian: Yeah, yeah. And that’s absolutely true. That’s not even what I would consider a red city. A red city is one that’s just really not, it’s really not allowed at all. And, but the funny thing is, even in those red cities, only half of those locations, those towns and cities are even enforcing the rules, so I’m not saying will break the rules, I’m just saying that towns and cities are not even enforcing their own rules when it comes to this. So people are still doing it. Brian: And if you want, if you have any doubts that it’s being done in these places, just go pull up any city in the US I don’t care what city it is. Look in New York City, look in Manhattan and you’ll be shocked at the number of AirBNB’s that are there. So there are people still doing it. I just tell people, look, if you want to build a real business, don’t do it in a red city, do it around them or nearby, you know, do it somewhere else. And I’ve got students now that are doing it in multiple states and even multiple countries. Joe: Or just do it as, have a month to month lease with the seller. Joe: Ask for forgiveness, not permission. I didn’t say that. I didn’t say that. I got one or two more questions for you real quick. Brian. Um, you, we were talking on the plane, you were working on rehabbing a house. Brian: Yeah, we’re done. We’re done. We’re done with it. So I decided to, you know, all my listings up to this point have been rental, lease properties, but I decided to jump back into the game, um, this time without any debt. So I got a cheap fixer upper in let’s say a transitional neighborhood. It’s not a very nice neighborhood, but it doesn’t matter because I know the ROI on this property is going to be off the charts. It’s going to be insane. In fact, there’s some data companies where you can pull up an actual address and it’ll tell you what it could probably make on AirBNB it’s really, really cool. So we did this on this property we just finished rehabbing it. And let me just give you some numbers because I know you’re, I wouldn’t normally give these numbers, but I know your listeners are real estate investors and they love numbers. So here’s the numbers $44,000, I purchased the property for $44,000, which is really, really cheap. It’s about the cheapest thing you could find anywhere in this county. Brian: Was this in the Midwest? Joe: No, it’s right here in Charleston area. $44,000 I put another $40,000 into it right around $40,000 so about $84,000 all in completely renovated. Every single system, the roof, the plumbing, the electrical, the everything. Kitchen, bath, flooring, you know, you name it basically like a new house now. So $84,000 into it. And we believe this property is going to make around $35,000 a year net. Joe: $35,000 a year net. Brian: Uh Huh. On AirBNB. Brian: We’re only getting charged, we’re only going to charge $100 to $140 a night for a three bedroom, one bath house. So somebody coming to the area, it needs a three bedroom, one bath house, they’re only going to spend $97 to $140 and we expect occupancy to be up around 90% to 95% so based on those numbers, we’re going to bring in about $3,000 a month, somewhere between $2,500 $3,000 so I think it be around 35,000k a month a year. So you’re looking at taking a property, renovating it, at least that’s what I did. You don’t have to renovate, but I decided to renovate and basically paying it off or getting your money back in less than three years. So the ROI on that is just, it’s off the charts. Joe: So your going to, wait a second. You’re going to pay it from the profits in three years and have a totally free and clear. Brian: Well, I paid cash for it so it’s already paid off. But if somebody were to borrow all the money because it’s low, I want to say low income, but let’s say it’s a very inexpensive area, it’s going to be easier to pay off a cheap property than if I had bought a $300,000 property. Now, yes, I’m not making as much per night, but I don’t care about that. I’m just looking at the ROI. And so now I’ve taken a property that if I had borrowed, I would have paid off in three years. And now I have $35,000 a year for life on that property from AirBNB. So it’s just unbelievable. I mean, I know the number sounds crazy, but you can do the math even at $100 a night, 30 nights a month. If I booked every night, that’s $3,000 a month, right? Brian: But I’m actually planning to do more than a $100 dollars a night and work. And when you crunch all the numbers that you’re looking at serious income, and so, so that just shows you that you can do AirBNB on the very, very low end. You can do AirBNB on the luxury high end, you can do AirBNB in a special tourist area. This is not even in a tourist area and it’s in the Charleston area, but it’s not anywhere in the historic area or anything like that. So that’s potential for you real estate investors out there. You can build equity and wealth so much faster with this model than you ever could with a longterm tenant. Joe: That’s awesome. Really, really cool guys you got to get on the webinar if you’re not convinced already, okay. Go to REIM Real Estate Investing Mastery, REIMPodcast.com/Brian again REIMPodcast.com/Brian. And listen, we’re only going to have this webinar up for one or two weeks. So hopefully you’re listening to this before that a webinar is gone. But got to check that out, REIMPodcast.com/Brian and Brian is somebody listening to this after the Webinar’s over and done, what’s a good way that they can get ahold of you or do you have a website people can go to get more information? Brian: Yeah, absolutely. So my website is BNBFormula.com B as in boy, N as in Nancy, B as in boy, just like AirBNB. So BNBFormula.com and go there. And I just want to say something really quickly to Joe. This audio book, I wrote a book called Six Figures in Six Months. And that’s because my story is I did over six figures, $117,000 my first six months on AirBNB and without, without owning any properties. And so I wrote a book about it. And so this book, this audio book, I sell for $29 online, but I’m just going to give it to you for free. I’ve never done this before. Actually, this is the first time I’ve ever done this for anybody’s audience. So they will get the audio book where they can immediately start listening to my story if they want us to it before they come to the, come to the webinar and the training. Brian: And so that would tell you my story. I’ll give you a little bit of background on how I did this and I kind of share all my numbers and that kind of thing. So I’ll just give that to anybody who’s listening right now. And then when you come to the training with me and Joe will go into this in depth, I’m going to, I’m not just going to teach like concepts, I’m going to show you the listings. I’m going to show you the photos, I’m going to show you inside my AirBNB accounts and see how much I earn on each one of them. I’m going to tell you the whole process, start to finish, how I automate everything, all that kind of stuff. 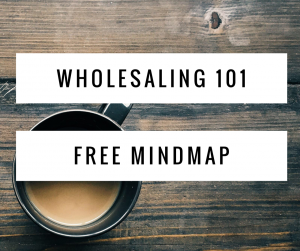 And basically how you could go get your first listing in the next 30 days. And if you want to get your second listing in the next 30 days you could possibly do that too. I have some students that get two listings in the first like month or two. So it’s really just up to you how far you want to go with it. But definitely do not want to miss this training. Joe: Very nice. Awesome. Well cool. And you think you want to say Brian before we go just to close this up? Brian: No, Joe, I’m a big fan of yours. It’s great to finally meet you in person on the plane. And I’m looking forward to this training we’re going to do and see if we can help some of your people start earning big on AirBNB. Brian: They blow me away. I mean, that’s, that’s an amazing thing and they’ve just absolutely blown away what I’ve done. And so that’s, you know, what’s really important in any mentor, I think is finding somebody that you can teach you in a way you can understand, but then finding somebody also that’s gotten results for other people. That’s the most important thing. Joe: Very good. All right guys one more time, REIMPodcast.com/Brian you can also get the show notes at RealEstateInvestingMastery.com. Get the transcription as well of this podcast. This has been really good, Brian. I appreciate you being on the show and you guys, if you missed the webinar or you can go to just a BNBFormula.com to get more information about Brian, BNBFormula.com. Cool. Thank you very much, Brian. We will talk to you later, man. Brian: Thank you, Joe. Appreciate it. Joe: See you guys. We’ll see you all later. Bye. Bye.